Michelle Rafferty of Flavorwire has gathered the “funniest costumes in TV history” for the supercut video titled 50 TV Characters in Hilarious Halloween Costumes. The full list of shows, costumes and characters used in the video is available at Flavorwire. 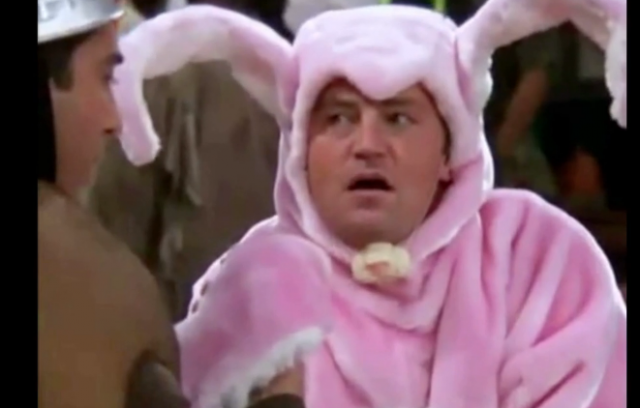 Friends’ Chandler as the Easter bunny.